PhD student Iryna Shekhovtsova is researching how we can use big data to measure the effectiveness of R&D. Camp Riverside and the mid-term evaluations are two of the main milestones for a PhD student during the course of their 4-year journey. The purpose of the midterm evaluation is to check that the candidates PhD thesis are on the right track. Iryna Shekhovtsova from Ukraine is one of five students that recently completed their mid-term evaluation in the Marketing Management PhD programme at USN. “I am looking into the effects of research and development on firm performance and how a firm’s market-based assets can moderate that connection. Research and development is one of the most expensive endeavours that a company can undertake, as it can require up to 20-25% of revenues being invested back into R&D. I am using a combination of research methods to test my hypotheses, including extensive data analysis, surveys, and interviews with investors and company managers”, says Iryna, who had just emerged from defending her research with her professors. “All of us have received invaluable feedback and comments that we will be able to use to advance us in our work and bring new depth to the research”, Iryna continues. 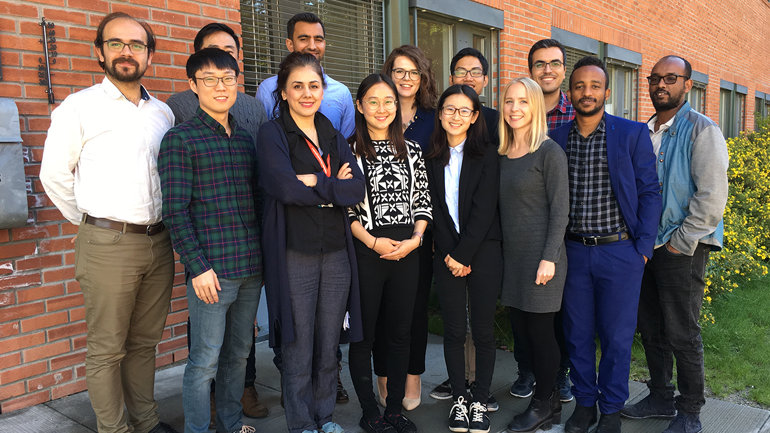 The Marketing and Management PhD programme at campus Ringerike started up back in 2014, and has so far have had a total of 15 students. Most of the PhD students have international background. At the mid-term evaluation was also two of the world’s high ranking Professors within the field of Marketing Management; Richard P. Bagozzi , Dwight F. Benton Professor of Behavioral Science in Management and Sundar Bharadwaj, Coca Cola Chair Professor of Marketing at the Terry College of Business, University of Georgia and Senior Research Scholar at the Indian School of Business. Both held guest lecture as well as giving the PhD students invaluable feedback. 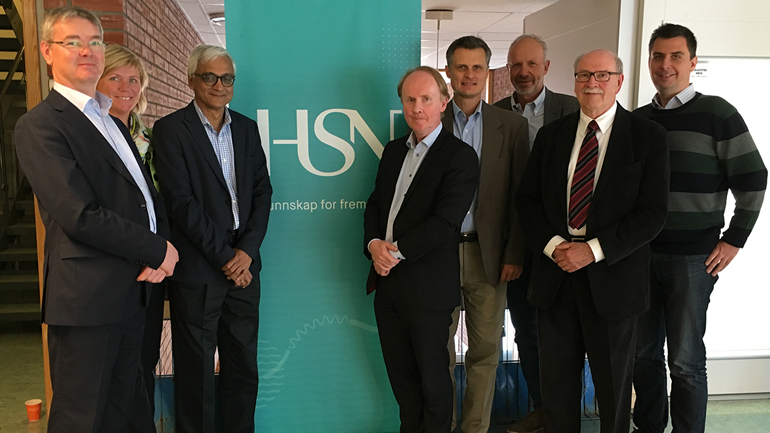 “We are extremely proud and honoured to have such world-class Professors within their field coming all the way to Hønefoss”, says Håvard Ness, Professor and head of the School of Business' PhD programme in Marketing Management. “It was a great honour to welcome Professors Bagozzi and Bharadwaj to our evaluations. The feedback from such accomplished researchers is of tremendous importance and cannot be overestimated. Moreover, having them present their own research is extremely inspiring and sets a high standard both in quality of conducting research and the art of presenting the research to the public. Professor Bagozzi’s research, which brings in the latest advancements of neuroscience to the marketing context, truly highlights the potential for cooperation between different fields of science and the amazing contribution to our understanding of the world and human behaviour that results from this synergy”, adds Iryna. Iryna has already tested her hypothesis with amongst others Kongsberg Gruppen, which invests over 20% of sales into R&D. “Companies will die out if they don’t invest in R&D, and what I am trying to find out is how can we make these investments count”, she says enthusiastically. This fall she will spend 3 months continuing her research and gaining new perspectives in high tech companies in Texas and with support from a counsellor at Texas Tech. Students completing their PhD have a number of options moving forward. “I am really excited to continue my career in academia, both as a researcher and as a teacher. After I graduate I would like to undertake a post-doc in order to further advance my training and gain more experience in conducting research. I will further attempt to start a tenure track to become a full professor”, she says. The PhD programme in Marketing management is of high international quality. “Our PhD Faculty publish in respected international journals and present their papers at international conferences”, says Professor Håvard Ness. Live Rykkje Lindgård, PhD coordinator adds “Having internationally acclaimed professors like Richard Bagozzi, Sundar Bharadwaj, Ajay Kohli join our solid team of Fred Selnes, Page Moreau, Dennis Arnett, Mayukh Dass, Luke Warlop, really sets the standard for our international goals and ambitions for this program. One of our main objectives moving forward is to provide the students with research stays abroad during the PhD period”. “I believe that the Marketing Management PhD programme at USN is a great program that offers a multitude of benefits, with resources, network opportunities, and flexibility that allow us to produce the best research. 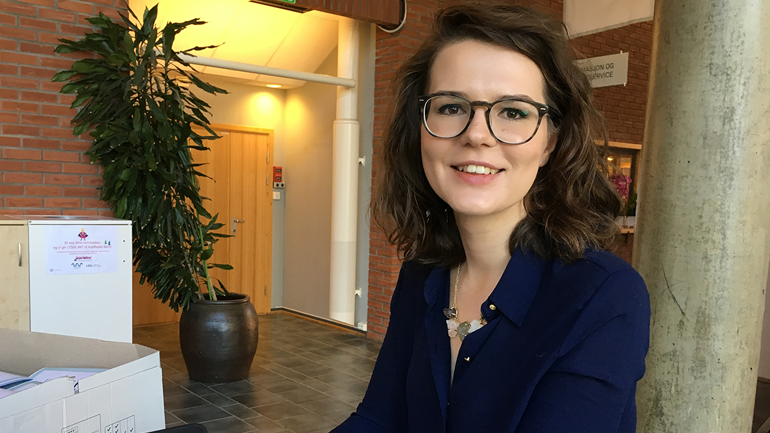 And while starting a doctoral degree in any field is an ambitious endeavour, and requires a lot of hard work and devotion, I believe that USN is a great place to get training and experience to become a successful researcher”, Iryna concludes. Find out more about the PhD programme in Marketing Management and learn about the requirements to be qualified and accepted into the PhD programme.